Born in Turin on 7 March 1965. His family have a clear vocation for the arts; his father Giorgetto, his grandfather Mario, his forefathers Luigi and Paolo were painters, musicians; Fabrizio continues in their artistic footsteps attending a Liceo artistico (art school) and later the Architecture faculty of Turin University. As a teenager, free from school chores, he follows his father Giorgetto to immerse himself enthusiastically in the magical atmosphere of Italdesign: the Style Centre, the Modelling shop, the Prototype Construction Workshop. In the second part of the Eighties he takes a proactive part in the creation of several experimental projects such as Machimoto (1986) and Aztec (1988). In 1991 he enters the atelier of Moncalieri full-time and, besides dealing with the style centre, he begins to manage technological matters with great passion. The complementary nature of this world transmits to him that exhaustive culture of the project which implies experimentation of new composite structural materials for frames and sub-groups, engines applied to new sources of propulsion, techniques of allocating the mechanical equipment in the chassis layout, the most innovative safety equipment, driver assistance systems, on board comfort and infotainment. 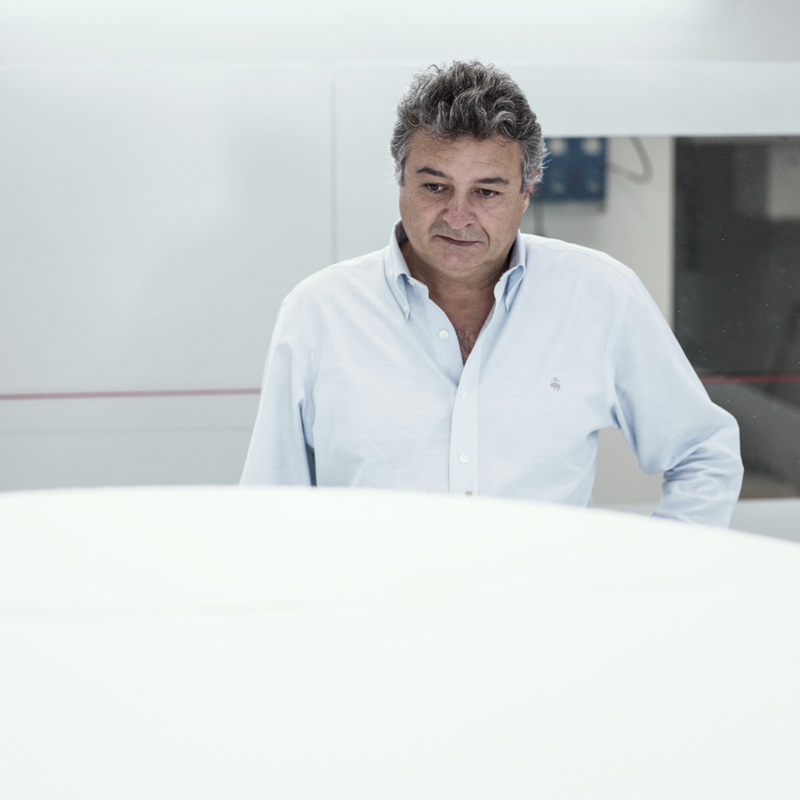 In 2016, alongside his father Giorgetto, he created GFG Progetti, a new company totally dedicated to design services for the automotive industry. 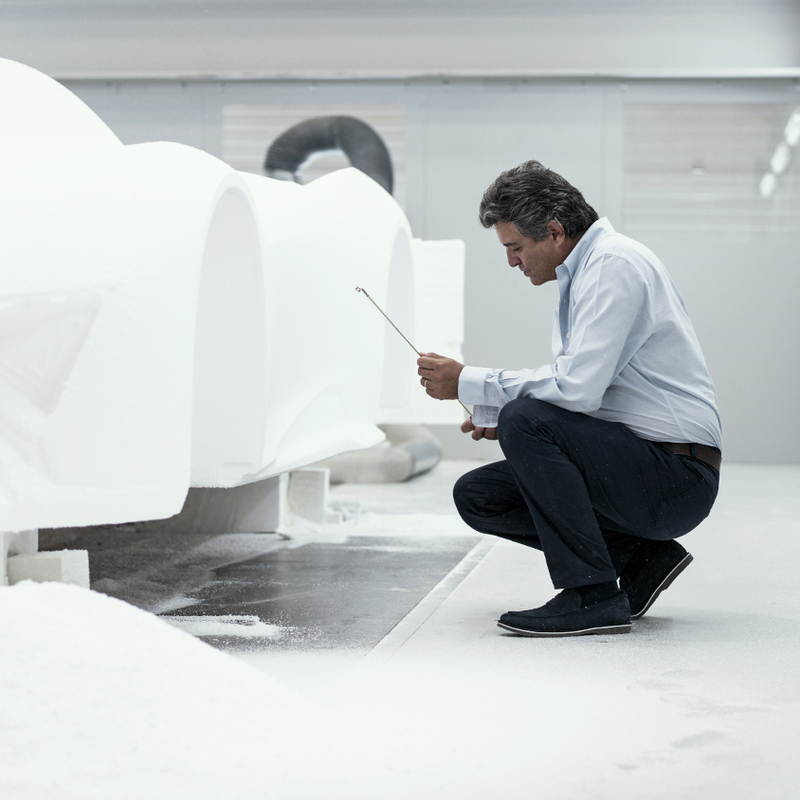 Following the line of work developed in more than 50 years of operations in the sector, GFG Progetti continues the process of stylistic and functional methods characterizing the Giugiaro family in all the design activities of vehicle development: concept, CAS, feasibility and mock-ups becoming its core business. The design methodology adopted by Giugiaros puts the emphasis on functional factors combined with comfort, reduced weight and lower production costs by making use of the most advanced technologies, also in terms of efficient energy use. Aesthetic results should not override the overall design intelligence of a project. In 1991 Fabrizio takes on the responsibility of managing research cars. His creativity expresses itself in independent projects of experimental vehicles and in the construction and performance concept of the vehicle to develop at the business Engineering centres. At the same time he attends the two-year Management Course of the Turin Industrial Union attaining a diploma in Business Administration. In July 1995 he is appointed Head of the Style and Prototype Department of Italdesign, supervising a hundred employees and developing from 30 to 150 projects a year. Since 2004 he has also been in charge of managing Giugiaro Design which, alongside the parent company, has been developing exclusively non-automobile design projects since 198 In 2010 Italdesign becomes part of the Volkswagen Group. Fabrizio will cover the same role for 3 years, before taking on the position of style consultant for the Group, reporting directly to the Style Manager of the Volkswagen Group. Fabrizio Giugiaro contributed to the growth of Giugiaro Architettura in the world of Design and Architectural development with a constant innovation in the services and activities offered.